1) La Pierre est New Yorks hôtel emblématique situé au coeur de Manhattan - sur Central Park à 5th Avenue, qui est de loin le meilleur emplacement dans la ville. L'hôtel a subi une rénovation de 100 millions de toutes les chambres, les couloirs, les espaces publics et le lobby. 2) L'hôtel est idéalement situé de tous les 3 principaux aéroports de New York. 3) Toutes les 189 chambres dont 49 suites ont subi une rénovation complète. Leurs hauts plafonds et une lumière naturelle abondante créent une ambiance chaleureuse et accueillante des résidences de style Manhattan classique avec un sentiment de luxe. 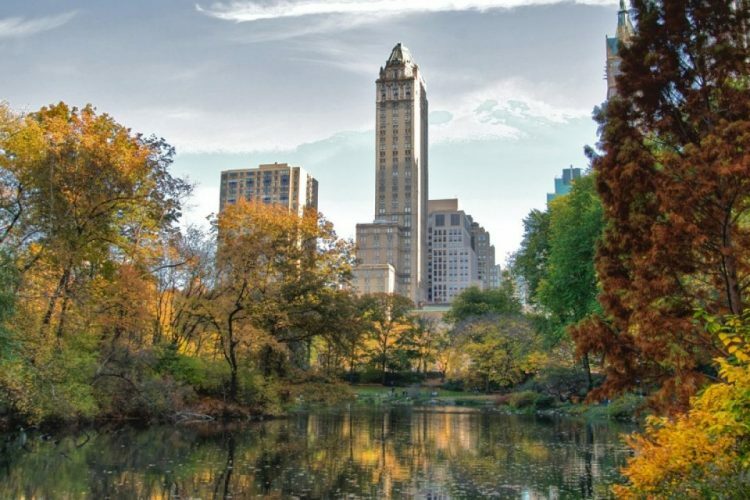 4) La Pierre est l'un des rares hôtels situés sur Central Park, entre la 5e Avenue et Madison Avenue. Il est au milieu des meilleures zones commerçantes de la ville avec des magasins emblématiques tels que Barneys, Tiffany and Co, Bloomingdales et Saks 5th Avenue tous étroitement situés. Central Park est juste en face de l'hôtel où l'on peut profiter d'une journée de l'équitation, le vélo, le patin à glace (en hiver) ou visiter le célèbre zoo de Central Park. De nombreux musées sont situés autour du parc, y compris le Natural History Museum et le Metropolitan Museum of Art. 5) Le Pierre est heureux d'annoncer son nouveau partenariat avec le Groupe Maccioni; ils ont ouvert un nouveau restaurant à La Pierre a appelé Sirio Ristorante New York. Sirio Ristorante New York, est nommé d'après le restaurateur légendaire Sirio Maccioni. Ce sera le restaurant soeur de Sirio Ristorante Las Vegas, et une partie du groupe Maccionis de restaurants qui comprend Le Cirque et Osteria Del Circo. The Pierre is a New York is in the heart of Manhattan on 5th Avenue across from Central Park. The hotel is adjacent to the boutiques of Fifth and Madison Avenues provides access to the best shopping in the city. Iconic stores such as Barneys Bergdorf Goodman Tiffany and Co. Bloomingdales and Saks Fifth Avenue are all within steps. Guests can enjoy activities in the Park including horse-back boating biking ice-skating and can visit the famous Central Park Zoo. S'il vous plaît se référer à la description du plan tarifaire étant réservé pour toute information politique supplémentaire. 1 child up to 17 years of age can share the room with parents at no additional cost with an extra bed. Children aged 18 years or older are fully charged. For 2 adults and 2 children; either 2 interconnecting rooms or a 2 bedroom suite must be confirmed. This hotel have joined the NYC Carbon Challenge: the goal is to reduce citywide greenhouse gas emissions 80 percent by 2050. La plus grande salle de réunion : 8256 sq. ft. 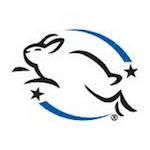 The Coalition for Consumer Information on Cosmetics' (CCIC) Leaping Bunny Program administers a cruelty-free standard and the internationally recognized Leaping Bunny Logo for companies producing cosmetic, personal care, and household products. The Leaping Bunny Program provides the best assurance that no new animal testing is used in any phase of product development by the company, its laboratories, or suppliers. Amazing experience!!! Attended a Wedding and next day Brunch. Food was exceptional, And with over 450 guests Served hot, and delicious. Rooms clean,beautiful view of Manhattan and a super attentive staff. Beautiful hotel. Great staff surface. Plenty of space in the room. Comfortable beds and couch. If you like the finer things in life, you may dig this hotel. It's beautiful and guest service is always amazing. Well... usually amazing.. last night a hotel operators demanded that my daughter and I get off the elevator saying it was too full. I've been on fuller elevators. It was not necessary and she was rude. But she is the only time i have experienced rudeness in a staff member. We come every summer. Great location (across Central Park) and parking is a breeze. There is a parking lot right across the street. The moment you walk out of your car, you are pleasently greeted by the doormen. We attended a wedding and were amazed by the hospitality. For the place itself, a little dated, but regardless, still a beautiful place. Wonderful! Had "tea" with some lady friends. What an experience! Loved the finger foods, tea and especially the champagne! Used a Groupon offer, but still extremely expensive. The Pierre us absolutely beautiful! My reason for going was to attend a social event in one of the event rooms. While the hotel is beautiful the room was hot and there was practically no ac. In the hotel it was cool and comfortable but as soon as you entered the events room it was the opposite. On top of that my girlfriend had placed a card she received at this event on the table as we got up to dance. When we sat back down the plates were cleared and so was her card. Speaking with a other waiter and the manager it became clear another staff member stole it. I would never voluntarily come back to this hotel again. Awkward place for a trade show like Organics. Too crowded and no where to sit at lunch. The Mandarin was much better. One of the best hotels to stay in midtown Manhattan. Right across the street from Central Park and close to historical places in New York City. Variety of museums and shopping districts. Right off of 5th Avenue Posh shops. And other high-end stores. Was attending a charity event. The room while a little dated, is Charming in its own way and is quite unique. Service and presentation were flawless. Overall an excellent event. I love the Pierre. It's packed with elegance and so much NYC history. The Organic Spa Magazine Travel Symposium was held at the hotel and once again, everything was great. The food, service, and event. You will feel like a Queen or King when you step into the hotel. It's magick! My wife and I originally booked the Plaza hotel for a couple nights and were tranferred to the Pierre due to staffing issues at the Plaza that made them unable to accomidate guests for the weekend . What a great opportunity that turned out to be ! We initially spoke with Ana at the front desk who was wonderful. After learning that we were in town celebrating our wedding anniversary she took it upon herself to upgrade our room to a top floor with a spectacular view of the park and upper east side ! My wife and I had an amazing time and Ana along with all the hotel staff were incredibly friendly , helpful and really know how to treat their guests. They all exceeded our expectations and made our first stay at the Pierre a very memorable experience. My wife and I will definitely stay at the Pierre again and can’t wait for our next opportunity to do so ! Great service! Awesome food! Classy and gorgeous. I’ve stayed at The Pierre Hotel for a week with my family. It has been a wonderful experience in a great hotel. All was extremely nice and cared, starting from the magnificent main lobby, arriving to the spacious (compared to others five stars hotels in Manatthan) and clean room. In addition is remarkable the kindness and politeness of all the hotel staff: concierges, receptionists, doormen, elevator operators (yes, this hotel has also a operator for each elevator), and housekeepers. The breakfast is excellent, and various. The hotel offers also a large number of lovely complimentary services and amenities, such as a very convenient and stylish drop off service in Manhattan, operated by the Hotel Car, a Jaguar limousine. Must be underlined also that the Hotel is children friendly and provides them a large number of amenities and toys, in order to make their stay more enjoyable. It is indubitably a truly luxury and great hotel. If you come here you will be treated better than 90% of the hotel's not only in New York but all over! I have traveled a lot and The staff here is Some of the best you will find! !thank you very much guys! It was breathtaking indoors. Felt as if I traveled back in time into the opulent and luxury of the 1920s. Massive halls and beautifully lit lobbies made you feel cozy and as if you were in another city not in the US. The only negative that I can talk to is that the bathrooms had a smell of vintage to say it nicely AKA old smell it wouldn't hurt to do a little bit of remodeling and renovating inside the bathrooms. I did not stay at the hotel, but I had dinner there. The inside of the hotel itself, however, is gorgeous. You'll feel like you walked into the Sistine chapel. The service was very good for dinner, and the food was good as well. A bit on the salty side for the appetizer and a tad too sweet for the dessert, otherwise it was great. Went to the Perrine at the Pierre as part of the restaurant week. I'm a vegetarian by choice so I'm usually sceptical about fancy places as I know how meat tastes and it's usually hard to make vegetarian food taste that good. But Perrine was an exception! The first course was the best butternut squash soup I have ever had. I'm a snob with that, I either love it or hate it. This was right on top on that list. I'd recommend to just go there for the soup alone. The breads were fresh and went perfect with he soup. Others tried the tuna tartare and the salad, both I hear were good. The main course was roasted farm veggies. They we're not my fav veggies as they were the ones on the sweeter side of the spectrum - beets, carrots etc. But the texture and consistently was on point. Did not feel full after it. I would say it was solid, not my favorite though as it felt too sweet after the soup. Others had the fish (bass) and lamb chops (medium) - they were excellent apparently. The dessert was the classic French brulee. Perfect. Accompanied by Madeline, that went well. As a plus, the adjoining dining room is absolutely stunning. I could sit there reading a book and having my coffee all day long. Would recommend just to see that! A special mention about the service. Had 2 servers both tried to be funny and not overwhelm with unnecessary suggestions. Did mind our table very well without being noticed or intrusive. All in all I would say totally worth it! Truly one of the great hotels left in New York City. The staff are at the pinnacle of their profession. There is nothing one could say badly about this gem. I know. I looked. It is just that good. Park view room is small but does have an amazing view of central park and the city to the north. Breakfast in Perrine is very good. Location is excellent for central park. Overall staff is first class. We had our annual company holiday party there. It was exquisite. They did a really fantastic job. The food was delicious and the spread was huge! The service was so attentive and cordial. Loved it! They really made it a special night to remember. Thank you! My MIL took me here for my very first high tea which turned out to be amazing. The tea was delicious and the food was to die for. I highly recommend. Went to a function here. Very old fashioned. 1965 wants it's decor back. Attended the Citizen's Union annual awards dinner. Event was a success. The elegant hotel feeling a bit worn but it is still a "grand dame". We stayed at this hotel when we went to New York. The hotel is state of the art beautiful. You feel completely pampered the entire time. Staff is helpful and pleasant. Concierge truly made our stay even more pleasurable. Expensive, but worth it. Plan to stay here the next time we go to New York. What a great place to stay in NYC. The location is absolutely perfect, 5th Ave must I say more? The staff was so friendly and accommodating. The room was beautiful and extremely comfortable. A must stay! I love staying in a hotel that has elevator operators! This hotel is beautiful. The staff went above and beyond. I had room service 3 days in a row. Love the coffee. I also really like their shampoo. I'll be coming again next summer. Watch out! amazing hotel facilities. friendly and professional staff that accommodates your needs during your stay. I love the room arrangement and the comfortable beds. really loved staying here. Impeccable service and a clean, beautiful facility! Our family of 14 had an incredible and legendary experience at this hotel this past weekend! Amazing location right beside everything! We will definitely be back! Thank You!! Had high tea there. It was a pleasant experience. Mini sandwiches were fantastic. Much better than Russian tea place. Absolutely love the location as it was across the street from Central Park and near all the lovely shops in Upper East Side. Service is top-rated- they all remember our names (a little spooky but sweet!). This hotel and Carlyle are the only two hotels left in NYC that has people manning the elevators - very endearing and old-school! There are also treats for the kids upon check-in: an elaborate spread plus an adorable penguin stuff animal. What a lovely touch. Nice food for a large social event. A great dance space with surrounding tables. The bathrooms had some stalls that didn't lock which is a minor problem but honestly dissapointing. If anyone is looking for a great deal on hotels you can check it out on HotelRaven. com Booked a room on there and they had the cheapest rates around... After arriving quite late due to a rerouted flight, the staff checked us in and found a suitable nearby place to eat. The concierge called up to our room to confirm that he arranged to keep the kitchen at the restaurant open. We would have had to run to make the cutoff otherwise. Great little touches like fresh flowers and having concierge know us by name really made the stay special. I was there for a work event. This hotel is absolutely gorgeous. They were very accomodating to the large numbers we had going in & out of the hotel, as well as equipment despite the delicate decorations. After arriving quite late due to a rerouted flight, the staff checked us in and found a suitable nearby place to eat. The concierge called up to our room to confirm that he arranged to keep the kitchen at the restaurant open. We would have had to run to make the cutoff otherwise. Great little touches like fresh flowers and having concierge know us by name really made the stay special. Susan and her staff are friendly and knowledgable about the city and it seems like they are as excited about your daily adventures as you are! They welcome you to sit down and share your day or enjoy some quiet, private tine with your loved ones or friends with a glass of wine by the fire. They find the right balance! The rooms are lovely and 'NY Intimate' and if you think the rooms are too small then you are spending way too much time in your room in a great city in a great boutique hotel! Well done Susan and staff! If you visit New York city, and you choose to stay at the Pierre, you made two great choices. The city and the hotel. you've actually made the perfect choice when it comes to the hotel. The location is ideal. And so is the service and the rooms. From the moment you walk in, you feel welcome. You're greeted with. Very high class. Every employee at the hotel treats every guest like royalty. The room was beautiful, the decor was perfect. Convenient location. Best hotel bathroom I've ever seen. Great value for your money, centrally located, wonderful staff and excellent service. Truly 5 stars & 5 diamonds would highly recommend to everyone. Doesn't matter if you're traveling on business or pleasure there's something for everyone. I spend a lot of time in NYC hotels and our time at The Pierre was among the most enjoyable. The staff was always professional but not stuffy and got us whatever we needed. The Pierre is an old-school 5 Star experience and that is a diminishing thing in NYC. 5 Star experience all the way! Came for a Christmas party and had a great time. Fantastic place for a holiday event. Not only is the service stellar, but the atmosphere is just gorgeously decorated in the holiday spirit. Holiday party at the Pierre. excellent food, attentive service, great ambiance! Amazing from start to finish. The driver was very friendly and stopped to take pictures for us in the Jaguar! The front staff was warm and welcoming, the atmosphere was very sophisticated and upscale. Everything was perfect, thank you for the memories Pierre ! Classic NYC hotel and event space that needs a facelift. Excellent location if you plan to explore 5th Ave shopping, upper East side museums or Central Park. Staff are very nice. Good, fresh food. No words can describe the service at this place. In summary - I ordered a custom Indian dish not on the menu, went to Broadway show and came back late past midnight - called to deliver food and it was delivered hot and fresh. Amazingly tasty and when I called back to commend the chef - he LEFT 5 mins after my food was delivered. Apparently the chef waited 7 hours PAST HIS SHIFT FOR ME so he can cook and deliver the food on time for me ... I felt horrible but I couldn't thank the Chef enough.. Amazing Taj always amazing !! Great hotel, the staffs are friendly and attentive. Atmosphere is cozy and lovely. Rooms are clean and comfortable. I suggest getting a room near the top floor so you can get a great view of central park and the city. Overall great experience, it's expensive to stay here but worth it. The Pierre was absolutely incredible. My Senior Prom was held at The Pierre and the staff were incredible. The food was exquisite and the entire event ran smoothly thanks to the staff of The Pierre. Would definitely recommend the venue to those throwing a party or a wedding reception. we stayed for the weekend of feb 19. the staff could not have been more attentive. they were aware we were celebrating a birthday weekend and they went out of their way to make my husband and I feel special. the location is perfect- across from central park and we could see the park from our window. THANK YOU for a wonderful stay! we will be back!